IN PALESTINE, THE OBSTACLES TO RECEIVING AN EDUCATION ARE NUMEROUS. CHECKPOINTS, MILITARY PRESENCE, SETTLER ATTACKS, TREACHEROUS ROADS, CLOSED MILITARY ZONES, DEMOLITION ORDERS, AND VIOLENT CLASHES ARE ONLY A FEW. BUT STUDENTS & TEACHERS PERSEVERE DAILY IN THEIR JOURNEY TO RECEIVE QUALITY EDUCATION. WE BRING THESE FACES TO LIFE AND SHARE THEIR HOPES, CHALLENGES, AND DREAMS. Samia Al-Jaberi, Teacher, Cordoba School, Hebron. Photo EAPPI/T. Fjeldmann. 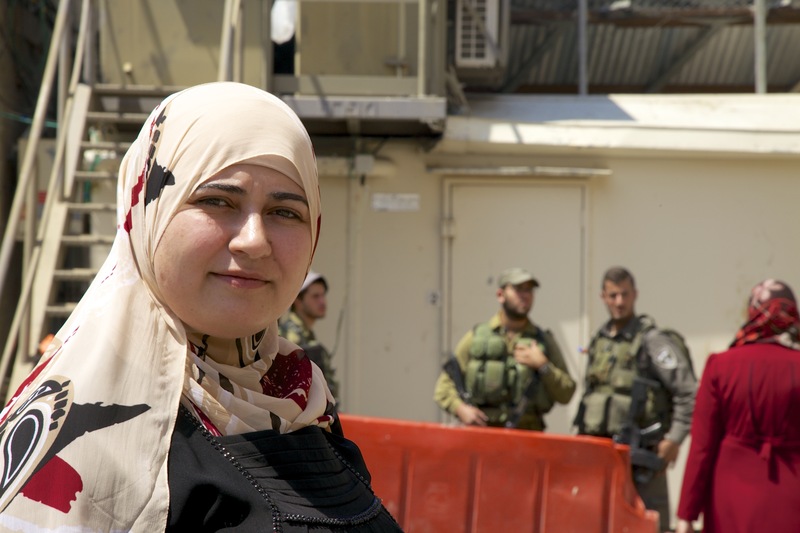 Samia is a teacher at the Cordoba School, a Palestinian school in the Israeli-controlled area of Hebron (known as H2), Palestine. The Cordoba school is located on Shuhada Street, a road that is almost entirely closed to Palestinians because of nearby Israeli settlements. 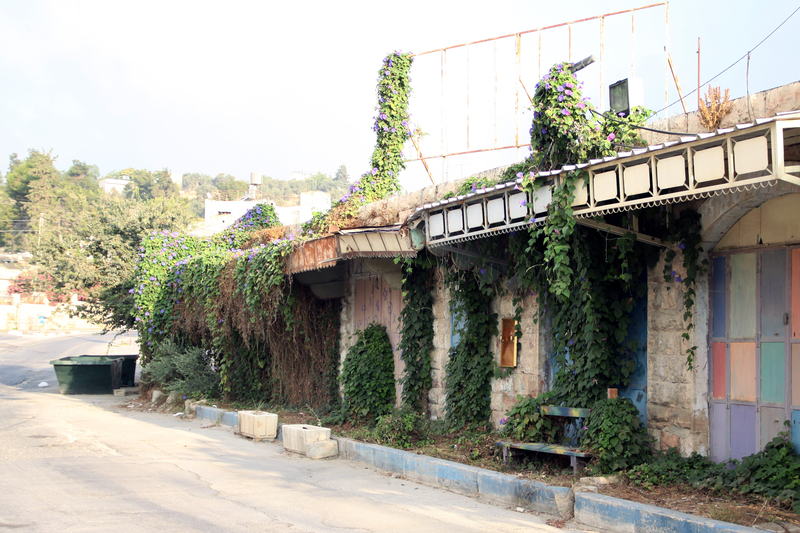 On Friday 22nd August, the main checkpoint to Shuhada Street was destroyed by an arson attack. The Israeli army has begun the process of replacing the checkpoint, and, during this time, have made access to school for the children and teachers very difficult. At first, like any year, I’m rested, and I’m excited to come back to school. I have many ideas and dreams – I want to give the children something good. I am happy to see my colleagues again. I am happy to see the children again. Being a teacher is not just work for me – this is my life. But, everything is difficult here, really difficult. I dreamed I could do something as a teacher, but my dreams are being destroyed. For example, I wanted to take the children on school trips. Most of the children at this school don’t know many places in Hebron, so I wanted to take the children to visit these places. We have many libraries in Hebron, we have universities, and I would like the children to see these things. I would also like them to see another school. I’d like them to see what is normal – not because I want to make them sad, that’s not the idea. But, I want to see that what comes after the school here. They need to see what life will be like. But, doing these trips is impossible from this school. What are your biggest challenges in going to school? The biggest challenge I face in getting to school is the checkpoint. I have problems everyday there. The soldiers tell me that I cannot pass, even when I show them the permit which should allow me to cross. We speak with the soldiers, and, sometimes they let us through. But, if they do not let us through, then the teachers have to climb over rocks and our clothes got really dirty. This is not how a teacher should arrive at school. It takes away our dignity, and I think that’s what they want. Once, as I was trying to cross the checkpoint, one of the soldiers said to me after seeing my teacher’s permit: “You are not a teacher, you’re just falafel.” The challenge is to keep our dignity – I will not let them take it. They have taken our land, but they will not take our dignity. I teach all the children at the school to keep their dignity. But, this is hard, I feel we are in a prison, not a school. Also, all the teachers makes plans over the summer for the year ahead: the art teacher would like to do art, the science teacher would like to do experiments. But, then we don’t have the right equipment here, because it’s impossible to get many things through the checkpoint to the school. What is needed for education to thrive in Palestine? For education to thrive in Palestine, the occupation needs to end. When a land is under military occupation – your body, your mind, and your emotions are under occupation also. If you become ill, the occupation controls whether you can take medicine or not. If you want to educate, the occupation controls that too. Everything, not just education, is under the control of the occupation. The occupation doesn’t need educated people, it doesn’t need education in order to survive, so, instead, destroys education. Sometimes it succeeds, but, now, because of technology, people have access to information. They can see what is happening in the world. Also, many people go outside of Palestine to learn and come back. This education itself will change our country, but it will take time. It is a slow process. *Read more testimonies from this year’s Back to School series. *Share the series on facebook with your friends. *Check out last year’s photo essay: Visualizing Back to School in Palestine.